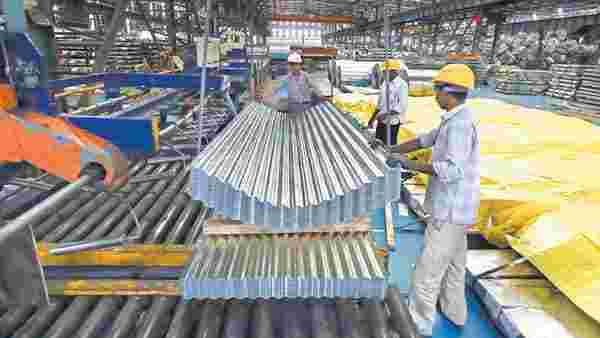 New Delhi: Economic activity remains subdued in India, with overall investment in new projects on the decline and private sector projects stalling, fresh data from the project-tracking database of the Centre for Monitoring Indian Economy (CMIE) shows. Indian companies, both public and private sector, announced projects worth ₹1.99 trillion in the quarter ending March 2019, 16% lower than what was announced in the quarter ending December 2018, and 46% lower than the year-ago period. These are provisional figures that come with a lag and may even be revised upwards by CMIE. However, they still paint a gloomy picture of the Indian economy. As in the December 2018 quarter, the fall in overall capex announcements was driven by a slump in new project announcements by the private sector. New private sector projects fell 25% in the just-ended March quarter compared with the previous quarter, and 34% compared with the same period last year. However, investment in new public sector projects increased in the March quarter, rising by 5.25% compared with the December 2018 quarter. This could be a cyclical effect with governments looking to complete projects by the end of the fiscal year. Over the last two years, there has been a similar spike in public sector project investments in the final fiscal quarter. This quarter’s public sector investment ( ₹738.4 billion) in the March quarter is significantly lower than last year’s value (a year-on-year decline of 62%), even after the increase over the December quarter. Investment in the manufacturing, mining, and real estate sectors have all declined significantly. The decline in construction and real estate investment is especially stark, falling by nearly 80% compared to the December quarter and the same period last year. Manufacturing has also fallen by 54% compared to the December quarter and 46% over the previous year. The only positives are investments in electricity and services sectors, which have shown a large increase, almost doubling from the December quarter. The prolonged effects of non-performing assets (NPAs), power sector distress, and election-induced policy uncertainty could be curtailing investment activity in the Indian economy. The CMIE data reveals that private sector projects are being stalled at near-unprecedented rates in India. Stalling rate is calculated as a percentage of the total projects under implementation so that the values are comparable across time. In the March quarter, the stalling rate of the private sector stood at a record high of 25.4%. The overall stalling rate in both public and private sector projects is lower at 11.08%, because of a decreased stalling rate in public sector projects. The services (excluding financial services) and manufacturing sectors remain the worst affected by stalling. Services sector projects accounted for 35% of all stalled projects, while manufacturing accounted for nearly 24% of stalled projects. Lack of funds has emerged as the biggest reason for stalling in recent quarters, suggesting that under-financed banks and stressed corporations are finding it increasingly difficult to finance their projects. The revised guidelines announced recently by the Reserve Bank of India (RBI) on the resolution of stressed assets and bad loans will likely impact the availability of bank credit. This might lead to a further disruption of investment activity in the economy. With Lok Sabha elections beginning this month, there is unlikely to be a resurgence in investment, as investors could adopt a wait-and-watch approach. The announcement of populist schemes, such as farm loan waivers and farmer income support, has already compelled the government to cut back on capex spending. An inconclusive mandate in the upcoming elections might lead to further uncertainty in the investment climate. The dovish stance adopted by the RBI in February may lead to a longer term uptick in investments, but the outlook for the shorter term remains bleak.